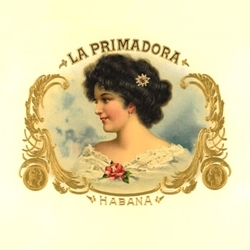 Produced in Danlí, Honduras, La Primador premium cigars are mild to medium bodied in strength created with an excellent blend of Honduran and Nicaraguan tobaccos. Each of these hand-rolled premium cigars are constructed with a high quality Ecuadorian Connecticut wrapper using a dark Mexican Maduro leaf. Cigar connoisseurs who love a satisfying flavorful smoke will really enjoy this classic cigar brand. Available in Bundle Pack of 25 Cigars! Smokers Discounts believes you'll really enjoy La Primadora, and can bring these premium cigars right to your doorstep. We’ve made it easy and affordable to buy cigars online. A variety of sizes and flavors are listed below. Each of these styles are in stock and available for a low discount price! Call us for more details!